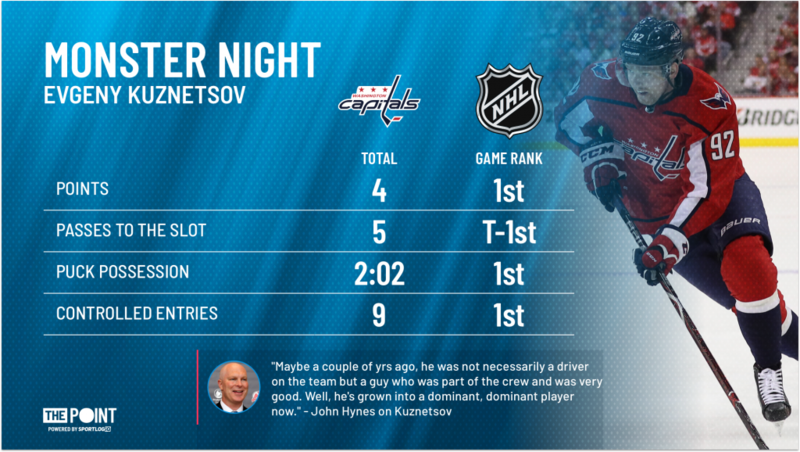 Point Shot: Kuznetsov gives Vegas déja-vu - The Point Data-driven hockey storytelling that gets right to the point. 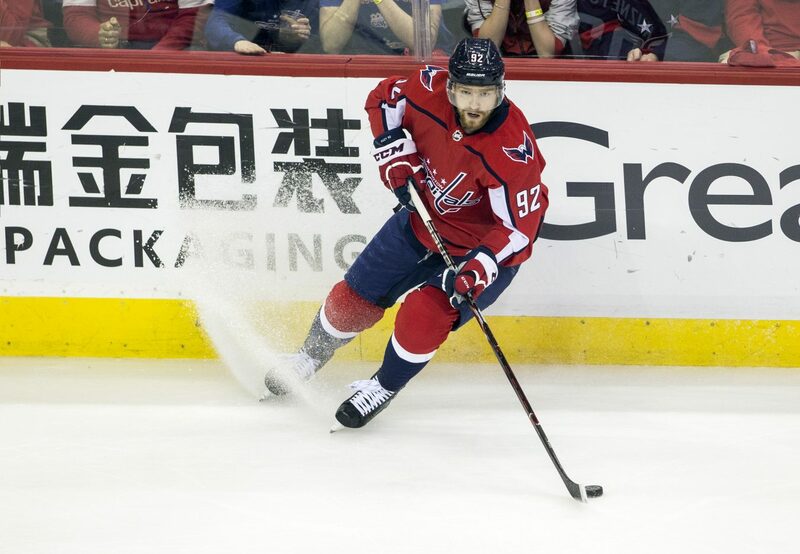 Evgeny Kuznetsov was as dominant as ever last night, leading the Capitals over the Golden Knights in a re-match of the Stanley Cup Final. Kuznetsov possessed the puck more than anyone on the ice and made every second count. His 5 passes to the slot were tied with Nicklas Backstrom for the most in the game and he finished with 3 assists. Any time he’s on the ice he dominates the play whether that be in the defensive zone where he tied for 2nd among forwards with 10 defensive plays or when he’s rushing the puck up the ice where he led all skaters with 9 controlled entries. His skill was on full display last night where he reminded Vegas exactly why the Caps went home with the Cup last year.